CellularStream.com Blog: 8pen - Is it so natural? 8pen - Is it so natural? The QWERTY layout, a concept that was introduced in 1867 is one of the most fascinating case studies of technological diffusion. This general layout was selected due to a necessity to keep certain letters apart just to avoid letter jamming. The typewriter layout has followed us across two centuries and evolved into the keyboard that we all know and love. However, is it the best way to type? Have you ever tried to post in a blog using your iPhone? There might be a different solution. The good fellas of 8pen claim that as the keyboard involved from a two handed tool and was integrated into the phone it lost it's functionality. They ask the right question; how good are you in typing on your phone using both hands? In a way, you will never be able to type on a phone screen as on the real deal. 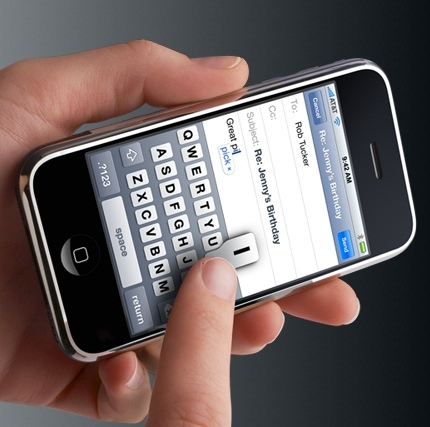 A different method is needed and while everybody tries to reinvent the same idea (example: SWIPE keyboard that uses the same layout but eliminates that need for tapping) 8pen embraces the idea that the human finger is more accurate in long circular moments than in tapping and introduces a whole new layout.